Rev your engine and download the Tim Hortons mobile app–you’re about to set off on an epic road trip across Canada. Your car is pointed north from Vancouver Island and you have enough Crispy Crunches in the backseat to feed the RCMP. It’s an auspicious start, to be sure. Could this road trip rival Oprah and Gayle’s famous foray into highway exploration? It’s too soon to say (no it’s not, you’re the new royalty of the road). Your road trip will take you from the west coast all the way to Iceberg Alley, but don’t leave BC too quickly. If you’re not sure which pit stops to make, consider us your personal BC trip planner. Your BC road trip begins in Victoria. 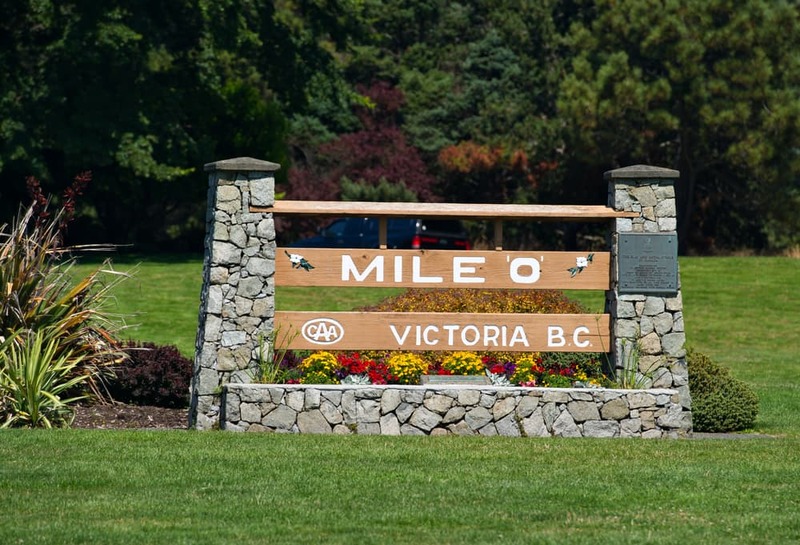 Snap a quick selfie at the Mile 0 marker and then head 23 km north toward The Butchart Gardens. It’s a little off course, but worth the detour. Slowly walking through the vibrant sunken garden and colourful Italian garden, you might wonder if the staff has been spray painting the blooms here. But no, much like our girl Bey, the gardens woke up like this. Before you bid Victoria adieu, you have two more quintessential spots to visit. First up: Craigdarroch Castle, which was built by a coal baron in 1890 and remains in tip-top shape. Yes, if reality shows had been a thing back then, Downton Abbey: Victoria Edition may just have been filmed in this regal building. Don’t hit the road toward your next major pit stop before you take a peek at the exhibits in the Royal BC Museum. The natural and human history collections will remind you just how far we’ve come—and make you even more grateful for your car’s A/C. After a few hours in the car, you’ll be ready for a quick break and maybe even some caffeine. 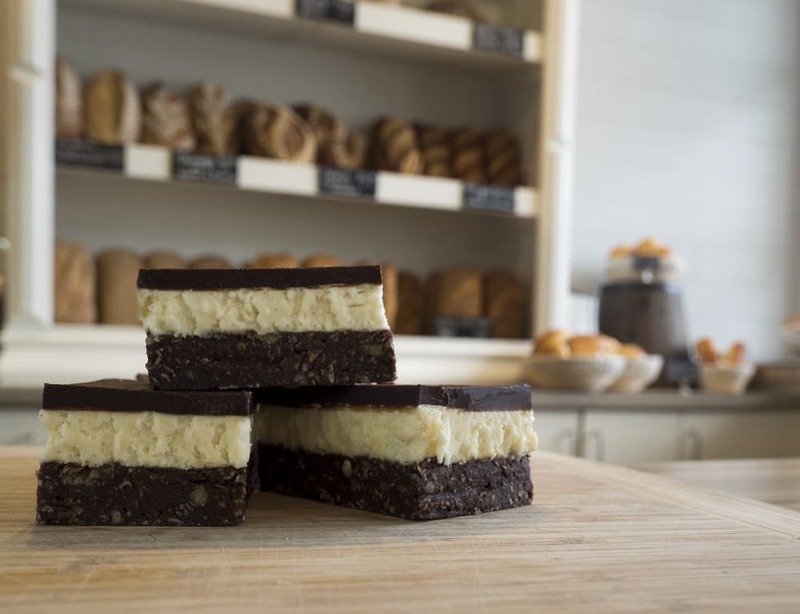 What better place to make a pit stop than where the famous Nanaimo Bar was born? If your glucose levels can stand it, embark on the Nanaimo Bar Trail and try up to 39 different varieties of the wafer and custard treat. We’re talking Nanaimo bar Fudge, Nanaimo Bar cake pops, and deep-fried Nanaimo Bars—and that’s just the beginning. Or, you could always pick one up at Perkins Coffee Company and take it to go with a locally roasted coffee. This BC park isn’t some tiny patch of wilderness; it’s greener than Kermit riding a lily pad on the Chicago River during St. Patrick’s day. It’s really green. The park also calls itself “Naturally Thrilling” and we have to agree. 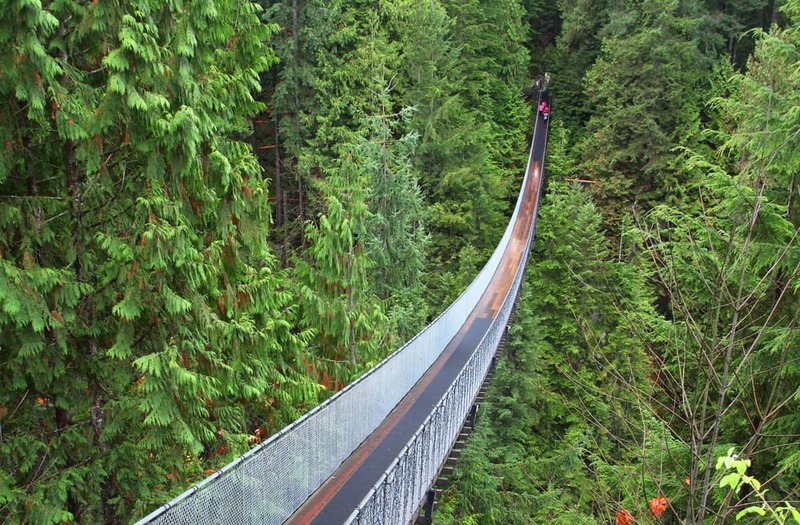 You can spend an entire day walking over the namesake bridge, daring to cross the cliff walk, and investigating the towering treetop adventure. Nearby, in North Vancouver, you can continue your outdoor shenanigans with mountain biking, kayaking, and hiking the Grouse Grind. 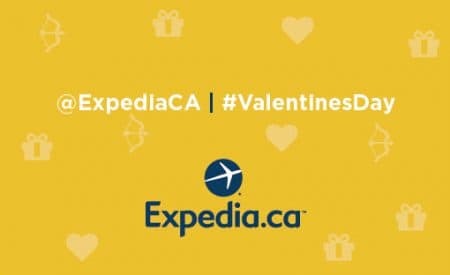 Hey, while you’re in Van City, why not spend the night? Book a room at The Burrard or the Moda Hotel and wake up the next day ready to tour Stanley Park, replenish your road trip snacks at the Granville Island Public Market, and see what’s happening at Canada Place. If you have an extra night in your hands, head north to one of the cosiest Whistler hotels before returning to Vancouver and onward. Somewhere between faith and certainty sits Hope… well, technically it’s between Vancouver and Kamloops. It’s also an idyllic locale to get out and stretch your legs. Check out the dozens of chainsaw carvings in town and have a homemade omelet at the Owl Street Café. 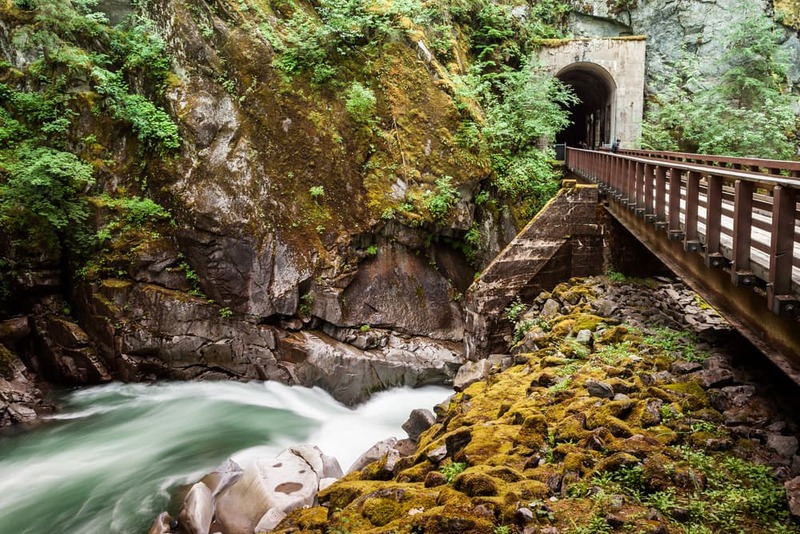 With a full belly and a flashlight, you’re ready to explore the Othello Tunnels of Coquihalla Canyon Provincial Park. The tunnels were once used for rail transportation, but today they’re just a cool excuse to walk right into the depths of a granite mountain. “Let’s keep driving,” your travel partner Jane might say. “I think we can make it to the next town,” she adds. But then you see the vineyards. And where there are vineyards there is wine. All the wine. It’s time for another pit stop, and we don’t want to hear any lip Jane. Before you start sipping a glass of fermented goodness, make a stop at the British Columbia Wildlife Park. Thanks to its wide-open spaces, more than 40 species have plenty of room to roam; visiting a Canada lynx at the park is something you’ll remember. By now you’ll have worked up a thirst, of course, so you and Jane are ready to pay Harper’s Trail winery a visit. Sit on the patio, order a cheese platter and a bottle, and enjoy the scenery. With Riverland Inn and Suites and other Kamloops hotels so close, a comfy bed is always near where you can crash. Your science teacher said salmon are a ray-finned fish, but there is such a thing as a Salmon Arm. 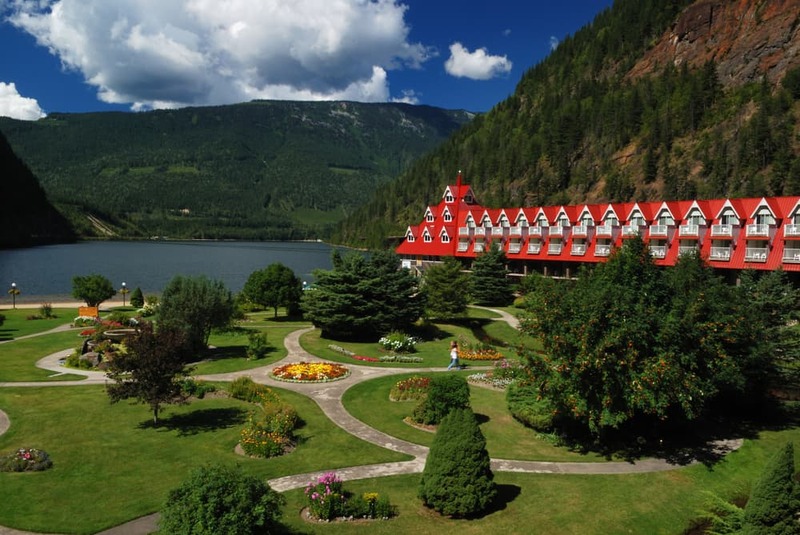 Just ask the folks in this Shuswap Lake adjacent town, where all four seasons bring a new reason to stop and play. Salmon Arm has the longest curved inland wharf in North America (try saying that three times fast), a wildlife sanctuary, and a charming downtown. 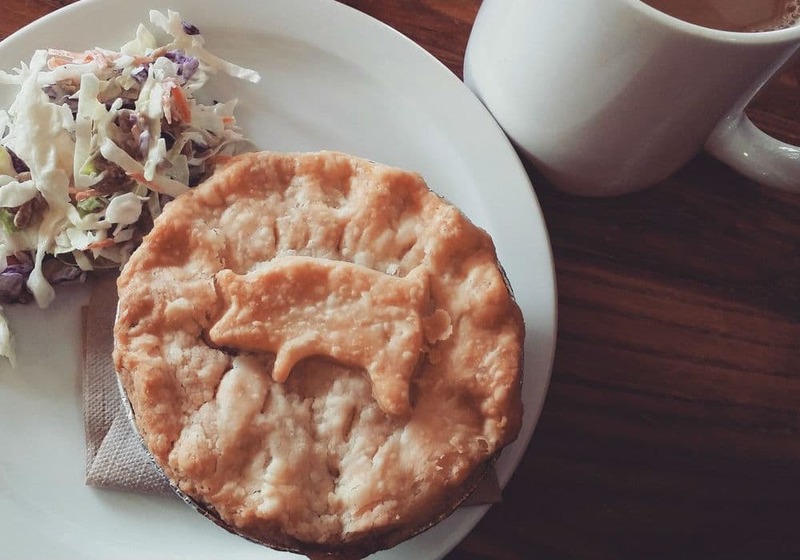 Grab lunch at the Shuswap Pie Company—we hear the cheese scones are to die for—and replenish your road trip snack supply at the Askew’s Foods market. Zip farther down the Trans-Canada Highway, and a sky-high adventure awaits at SkyTrek Adventure Park. Buckle into a harness, and just like R. Kelly you will believe you can fly (using an elaborate system of pulleys). You’ll sail down the zip line and stare at the aerial trekking course whispering, “I will conquer you.” And then you will complete that course like the Ninja Warrior you are. Next door, the Enchanted Forest is billed as a place for kids, but we bet you could appreciate some glitter and the tallest tree house in BC at any age. We all need more glitter in our lives. 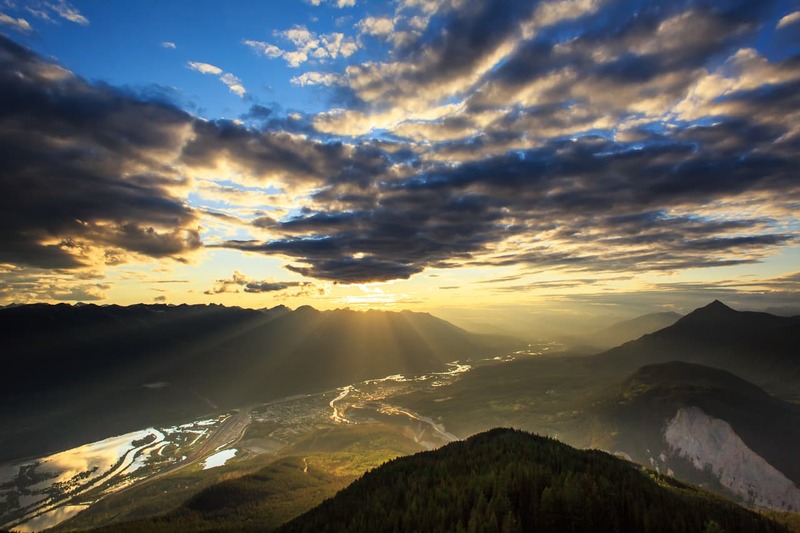 Back on the highway you’ll find yourself smack dab in Revelstoke, and revel in it you will. From exploring the “beary” good time at Grizzly Plaza downtown to summoning spirits at the 3 Valley Gap Heritage Ghost Town, you’ll be glad you pulled over here. In fact, you may as well stay the night. Book a room at the Three Valley Lake Chateau and become the village idiot. No, really. Grab a stool at the Village Idiot Bar and Grill and have a good hangout with a “come as you are” crowd. 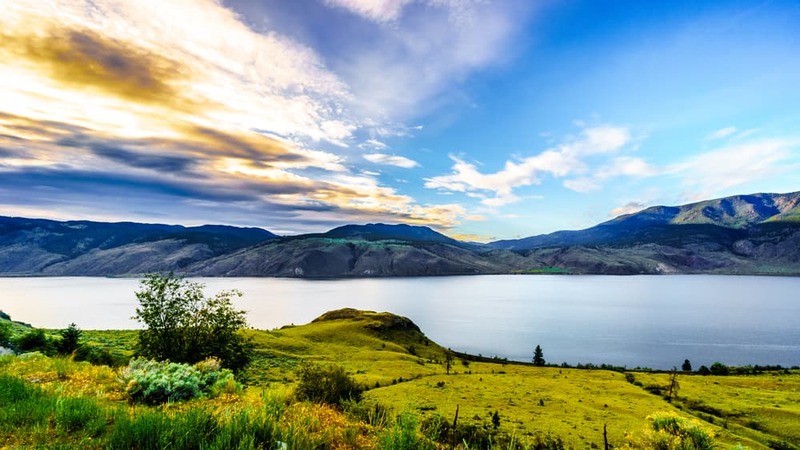 Why settle for a silver pit stop on your road trip in BC when it could be golden? Trust us, when you spend a night in Golden your experience will be anything but grizzly (despite the resident bears). At the Kicking Horse Mountain Resort you can ride a gondola, hike across a suspension bridge, and wave at the resident bear. If you want to get your dire wolf fix in the Game of Thrones off season, stop by the Northern Lights Wolf Centre to learn about the region’s beloved wild dogs. Continue the theme at The Wolf’s Den Rustic Mountain Restaurant, or trade in your wolf’s-eye-view for an eagle-eyed perspective. Take a gondola to the top of the Kicking Horse Mountain Resort and dine with spectacular panoramic views to keep you company. You’ve almost hit your first provincial milestone on the quintessential Canadian road trip! 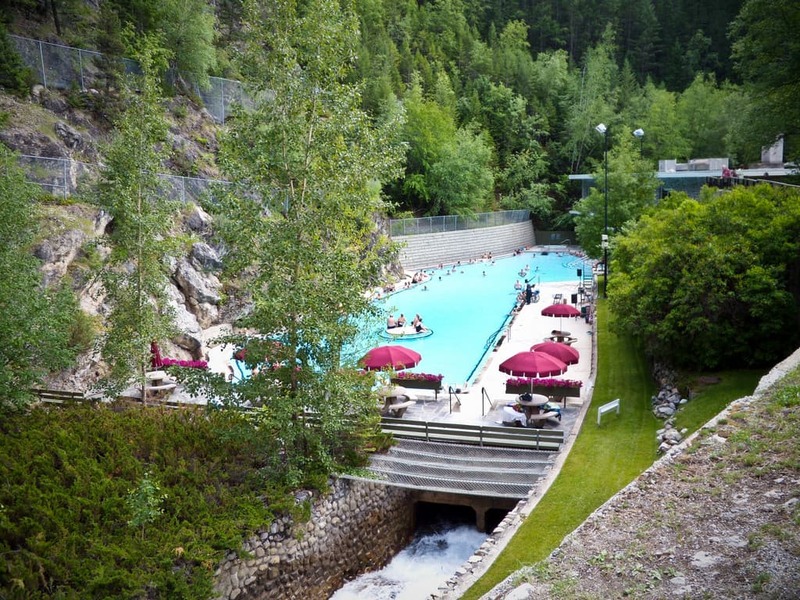 Treat yourself to a relaxing stop at Radium Hot Springs. Even in the dead of winter, the mineral pools here can soothe your muscles and have you feeling as fresh as the neighbouring trees are green. Get a good night’s sleep, because tomorrow you’ll end your British Columbia vacation and begin the hour-and-a-half trip to your first Alberta pit stop! Join us for our next post, where we pick up at Lake Louise and give you the skinny on where to stop in AB! Thanks for sharing this. Your tips are very helpful. 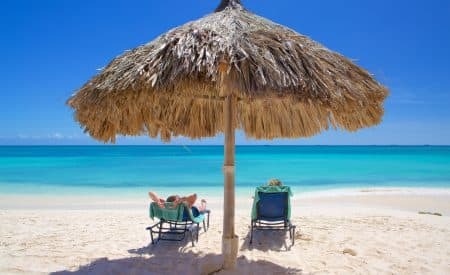 I am a travel freak and travel a lot. Next year Alaska is on my card.Travel is fatal to prejudice, bigotry, and narrow mindedness., and many of our people need it sorely on these accounts. In Near Future I definitely want to explore British Columbia.